In the final days of 2018, as Stacy L. Smith and her pioneering team of researchers at USC Annenberg were putting the final touches on one of the most comprehensive and intersectional reports on inclusion in Hollywood to date, a historic finding in the data sent a ripple of excitement through the lab. Their research found that in 2018, a year of record-breaking box office, more black filmmakers — 16, to be exact — directed films among Hollywood’s 100 highest-grossers than ever before in the study’s 12-year span, representing 14.3 percent of top directors. 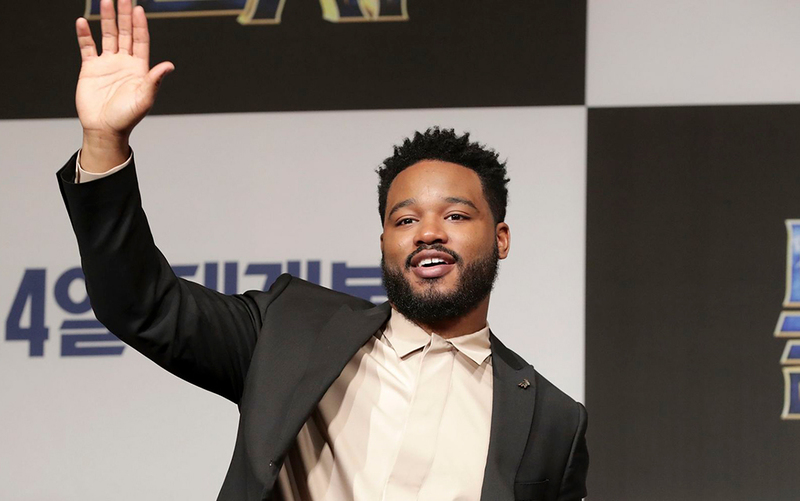 That marks a nearly threefold increase over 2017’s six black directors and a 100 percent increase from 2007, the first year Smith’s group began charting inclusion, when eight black directors helmed top Hollywood films. Those numbers signify “a huge jump,” Smith said Thursday afternoon, reviewing the final data at the headquarters of USC Annenberg Inclusion Initiative, the industry-leading think tank she founded and directs from a second-floor office on campus. “For the first time in 12 years, we’re seeing a historical shift in the hiring practices of black directors,” she said. But as Smith is often quick to remind, there’s no resting on laurels in this game. An enormous amount of work remains to be done, and culling hard data is just a first step in helping the stubbornly resistant entertainment industry reverse a history of deeply entrenched inequity. Pre-dating by a decade the critical mass reached in 2017 by the #MeToo movement first sparked by activist Tarana Burke in 2006, Smith’s research on Hollywood employment practices have influenced the way the industry talks about the change it says it wants to see — even if that change has been awfully slow to come. The findings published Friday in the annual “Inclusion in the Director’s Chair” report ahead of Sunday’s Golden Globe Awards track gender, race and age among directors across the top 100 performing films of each year. And while they indicate major gains for black directors in Hollywood in the year that Ryan Coogler’s “Black Panther” was the highest-grossing film, with more than $700 million domestically, growth remains elusive for nearly every other underrepresented demographic group. Of the 112 directors who helmed the top 100 movies of 2018, a mere 3.6 percent were women, the study found. You can count all of those filmmakers on one hand: Ava DuVernay (“A Wrinkle In Time”), Kay Cannon (“Blockers”), Abby Kohn (“I Feel Pretty”) and Susanna Fogel (“The Spy Who Dumped Me”). The rate of hire for female directors — or lack thereof — has remained disappointingly consistent since 2007 among the directors of Hollywood’s top films. Across 1,200 films released between 2007 and 2018 — a total of 1,335 directors — men have outnumbered women in the director’s chair by a ratio of 22:1. Likewise, only four of the top-grossing directors last year were of Asian descent — Aneesh Chaganty (“Searching”), Jay Chandrasekhar (“Super Troopers 2”), Jon M. Chu (“Crazy Rich Asians”) and James Wan (“Aquaman”) — representing 3.6 percent of all directors in 2018. That marks relatively no change over the study’s 12-year span, during which only 3.1 percent — or 39 Asian men and three Asian women — have directed top-grossing films. The outlook is even worse for female directors of color, only seven of whom landed a combined nine directing gigs in the last 12 years across those 1,200 films. Of those women, four are black, two are Asian and one is Latina. That’s shortsighted business for Hollywood, says Smith, whose work has evolved into an academic form of activism and fueled research projects with partners including the Geena Davis Institute on Gender in Media, the Sundance Institute and Women in Film. She warns that as America becomes more diverse, not less, outdated Hollywood decision making that confirms the status quo will fall increasingly out of step with the population. Smith often relays her group’s findings in presentations to executives and gatekeepers (her 2016 TED Talk revealing the data behind Hollywood’s sexism problem has been viewed more than a million times). It comes in handy when she frequently warns her audience that the data she’s about to share are, frankly, depressing. But there’s an undeniable value in seeing those hard, if demoralizing, statistics — the most common number her team encounters for women in Hollywood, she says, is “zero,” as in “zero women were hired in x role” — written plainly in glaring typeface, calling out studios for their glacial progress onscreen and behind the camera. “I’ve never been one to make arguments — even obvious ones like that the industry is light years behind what it should be and what it thinks it is on being remotely representative of the real world — without quantitative evidence,” Black List founder Franklin Leonard said in an email. Franklin, who serves on the Inclusion Initiative’s board along with entertainment executives from across the industry, praises the work. “I think it’s important, both because it prevents people from claiming progress where there is none, and because it strengthens the arguments folks like me make about the need for and value of a more representative industry and culture,” he said. For Smith and colleagues Marc Choueiti and Katherine Pieper, who co-run the Annenberg Inclusion Initiative and co-wrote the director’s report with Smith and Angel Choi, change hopefully begins with data that industry stakeholders can point to. Laying out the numbers, like the fact that only seven women of color were hired for 1,335 directing positions across 1,200 films over more than a decade, “tells you that there’s something horribly wrong with the way in which [studios] attach directors to projects,” she said. Over time, the work has led Smith’s team of eight staffers and about 50 student researchers to expand their focus, painting an increasingly comprehensive picture of an entire Hollywood ecosystem that, much like non-entertainment industries, continues to perpetuate stark imbalances across disciplines. For the first time, the 2019 directors report also includes analysis of representation among producers, select below-the-line crew and department heads across 300 top films from 2016-18. Those numbers are just as staggering. Among the 984 people earning “produced by” credits on the 300 movies in the study’s span, 82.1 percent are men, 17.9 percent are female, and 11.4 percent are from underrepresented racial or ethnic backgrounds. Only 1.6 percent of producers are women of color. Men account for 84.5 percent of 375 credited editors, while only 4.3 percent are underrepresented men and 1.4 percent are underrepresented women. Composers, meanwhile, are 97 percent male and less than 10 percent come from underrepresented backgrounds. Camera departments, the study found, are some of the most imbalanced areas on a film crew. Among cinematographers of the live-action films in the sample, 97 percent are male and 3 percent are female, with both segments overwhelmingly white. The numbers show that 99.1 percent of camera operators are male, while a total of five women account for less than 1 percent of the sample. Women rarely fill best boy electric (1 out of 292), key grip (4 out of 272) or best boy grip roles (8 out of 266). Among 281 gaffers documented in the study, none were female. The team members also see possibilities in their research. They champion solutions like the adoption of inclusion riders, and measures that can foster education, better guide underrepresented hopefuls toward careers in film and increase sustainability for those who do manage to break in. Underrepresented producers, their new study says, are 30.8 percent more likely to correlate with directors from diverse backgrounds. A relatively small group of casting directors work on the top-grossing films. Between 2016-2018, 83.4 percent were women and 86.8 percent were white. And as the Initiative’s annual study on visibility in Hollywood found last year, onscreen representation of women, people of color, LGBTQ and disabled characters hadn’t significantly improved in a decade. Smith and her group plan on integrating that area of inquiry into an upcoming report on what makes movies profitable — one of several studies they will roll out in 2019, along with further research on the music industry, mental health portrayals onscreen and a continuing look at the lack of representation in film criticism, in which women of color wrote just 4.1 percent of reviews in 2017. In the end, the Annenberg team says, Hollywood isn’t all that different from other industries. Their goal is to help move everyone toward a path of progress, Pieper said. And when it comes to those choices, every sector across Hollywood has the potential to help move the needle.